There’s no better ski area in Europe for blasting down perfectly groomed, very quiet pistes than Italy’s Monterosa ski area. If you want a few days away to do that, then come here for a mid-week break (at weekends it gets busier with weekenders from Milan and Turin). Stay in Champoluc and let tour operator Ski 2 organize your stay. 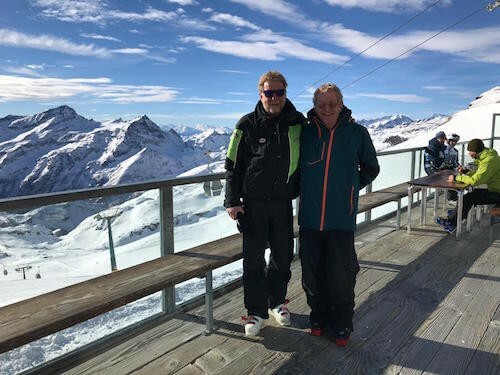 In the one full day I had in Champoluc, I covered nearly all the pistes in the area with Ski 2 co-owner Simon Brown and Ski 2 ski instructor Helen Hartley. At the end of the day, my Ski Tracks app showed we’d skied over 8000 vertical metres and almost 50km, with a top speed of over 80kph. This was way more in a day than I’d managed in any other resort in my Aosta Valley tour – the nearest rival being a day in La Thuile/La Rosière when I skied less than 6000m vertical, less than 40km in distance and hit a top speed of a mere 65kph. Even on day two, when we stopped skiing at 1.30pm to head for the flight home, we skied more vertical metres than on any of the other full days of our tour. The reasons why are simple: deserted slopes, easy and well groomed red and black runs and fast chairs and gondolas. 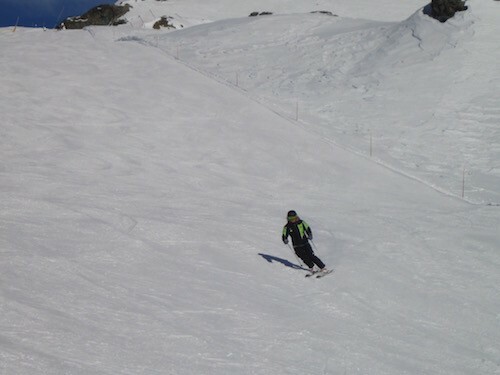 The ski area also has some fabulous off-piste. More on that from my fellow traveller Nicky Holford in a few days. So why Champoluc? 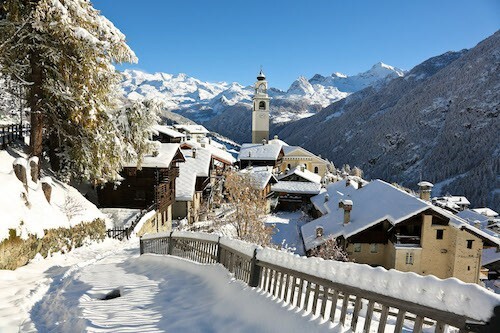 It is the biggest (but still delightfully unspoiled) village in the Monterosa ski area, with the best choice of hotels to stay in – including some some delightful places up on the mountain. And it has swift access to the skiing by a (new-for-this-season) gondola or a fast funicular railway. And why Ski 2? 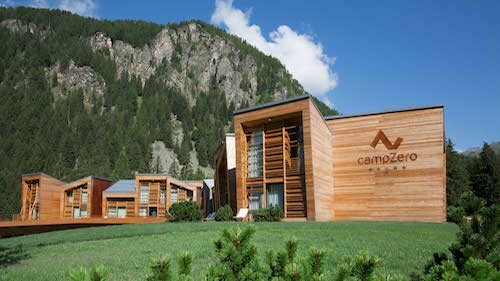 They are Champoluc specialists, have been taking guests there for 20 years, know it better than any other tour operator and feature a choice of over 30 hotels from 2-star to 5-star. They will tailor make holidays of any length – and 3 or 4 nights is an ideal length for a quick mid-week blast. 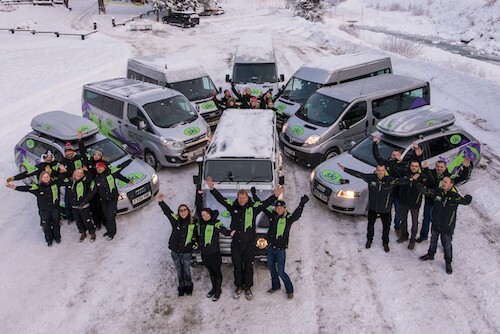 Ski 2’s prices include private transfers from any of six airports, mini-buses on call to chauffeur you around the resort, lift passes, ski guiding and vouchers for lunch on the mountain. They also have their own ski school and ski hire shop in resort for the exclusive use of Ski 2 guests. I stayed at the resort’s only 5-star hotel, which opened last summer. It’s called campZero because it’s your base for varied adventures in the mountains, says the manager. 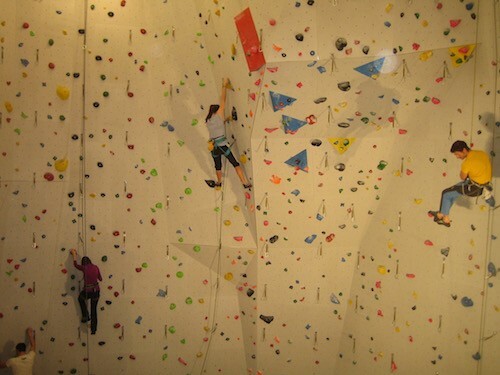 But the adventures start in the hotel itself, which features a huge indoor climbing wall seen from the lobby/bar area through a huge glass wall – it makes great spectator sport if you don’t want to have a go yourself. And there’s ice climbing at the back of the hotel, that was about to open as I left. The hotel has its own mountain guide to help you learn. campZero’s rooms are 2-story with a bedroom upstairs, sitting room (which can be converted for more sleeping accommodation) on the ground floor and bathrooms on each floor. Very comfortable for a couple or a family with young kids. And there’s a great wellness centre. More on campZero in a forthcoming feature.